SeedLegals is the one-stop platform for all the legals to get funded and grow your business. We'll help you get investment ready and complete every step of your funding round, build and negotiate your Term Sheet, Shareholders Agreement, Articles, the works. We're now the largest closer of funding rounds in the UK. Many of our customers are new to this. You'll have an assigned SeedLegals legal and funding expert to help you every step of the way. On web chat, on Skype, and in person if you like (we're in Holborn, London). Being able to offer your investors SEIS or EIS tax deductions makes you dramatically more investible. We'll take you through every step and build all the required documentation. Our team will review everything for you, ready for HMRC approval. ‍After your round your investors will want their SEIS/EIS Certificates. We've automated that too. Our SeedFAST advanced subscription agreement is the fast and easy way to get investment in ahead of a future round. It's changing the way companies raise funding. 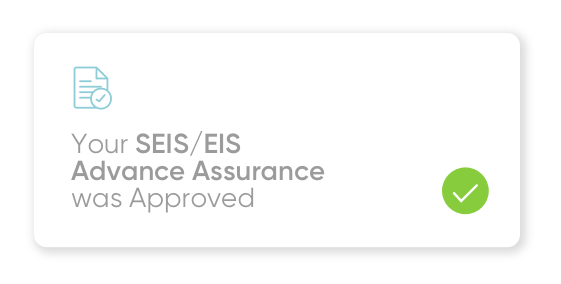 And, it's SEIS and EIS compatible. Previously when you closed your round you were done till your next round. 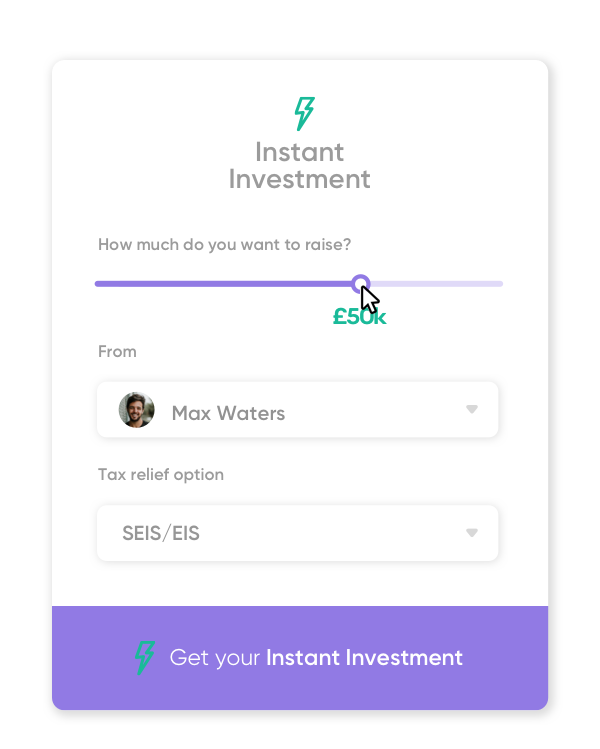 Instant Investment changes that, you can now close a round and then top up afterwards. More than half of startups raising on SeedLegals are using it to close quickly, get on with business, and top up later. Goodbye Excel spreadsheets. 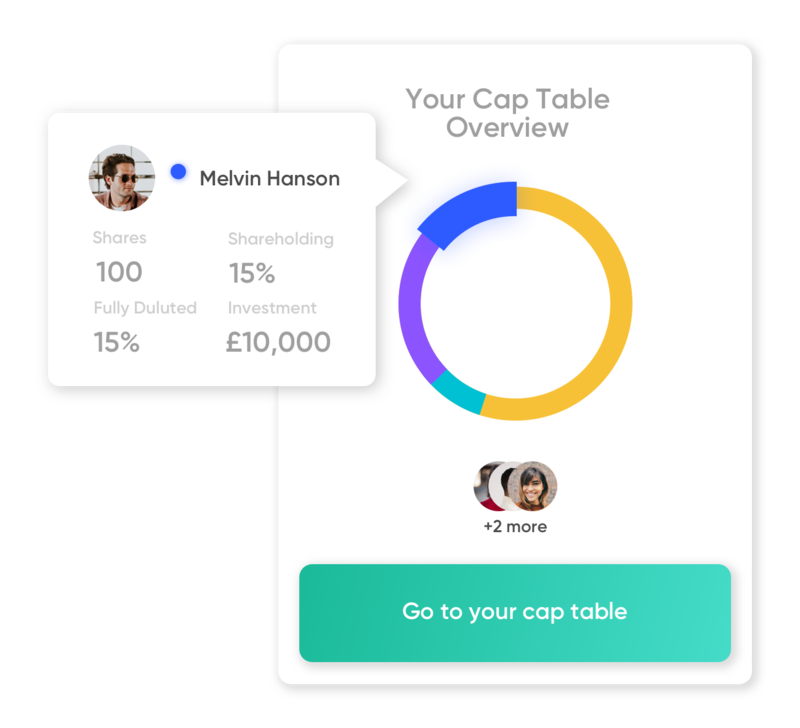 Our cap table builder takes care of the arithmetic, calculates equity dilution and keeps track of everything. Add shareholders, issue share certificates, transfer shares, view exit scenarios and more. Giving share options to your employees? You'll want an EMI Option Scheme to do that tax-efficiently, and you'll love ours. 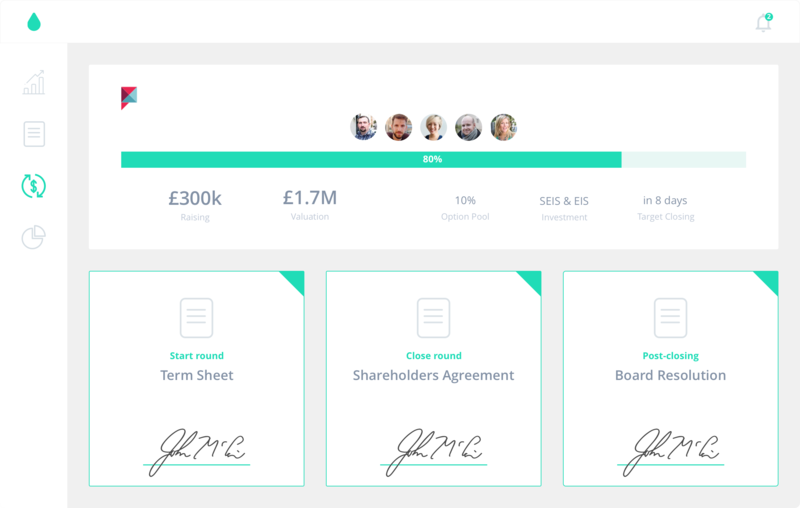 We'll generate all the legals, help with the HMRC valuation, create beautiful option certificates for your team, handle their share vesting, and more. Agreements for founders, employees, advisors, NEDs... Create them in minutes, share and sign them online. All included in our Base Plan. Get the first 30 days totally free. Easy to use, accurate, great support.. and cheaper than a lawyer! SeedLegals transformed one of my most dreaded tasks into a simple, clear and efficient process. Wouldn't hesitate to recommend this to any other founders! V cool: @SeedLegals have just launched "SeedFAST" - like a convertible note but SEIS-friendly. 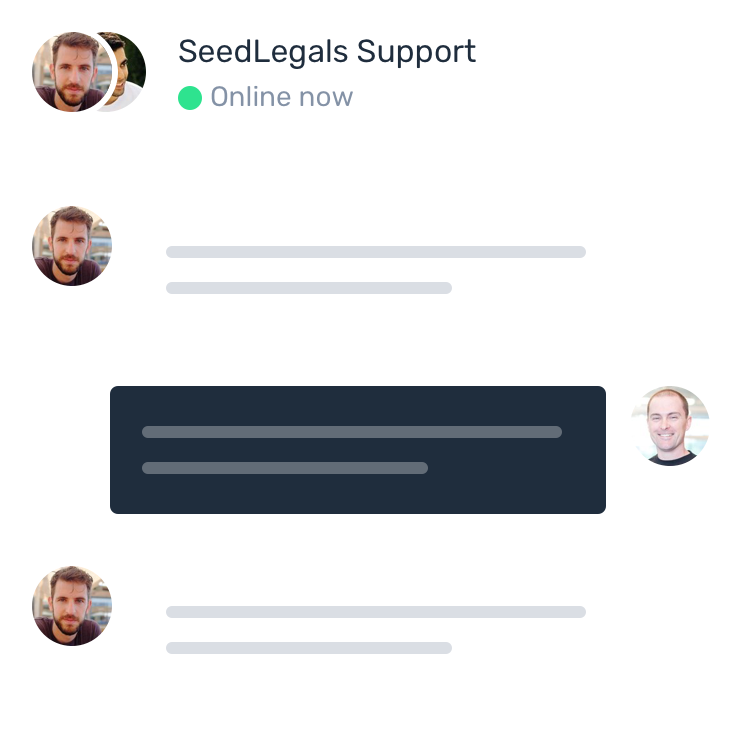 Bye Bye law firms, hello Seedlegals! Great value for money and an amazing turnaround. Game-changer for UK startups. It cost us at least 2x the amount with lawyers for our first round. I couldn't imagine raising a seed round without SeedLegals! 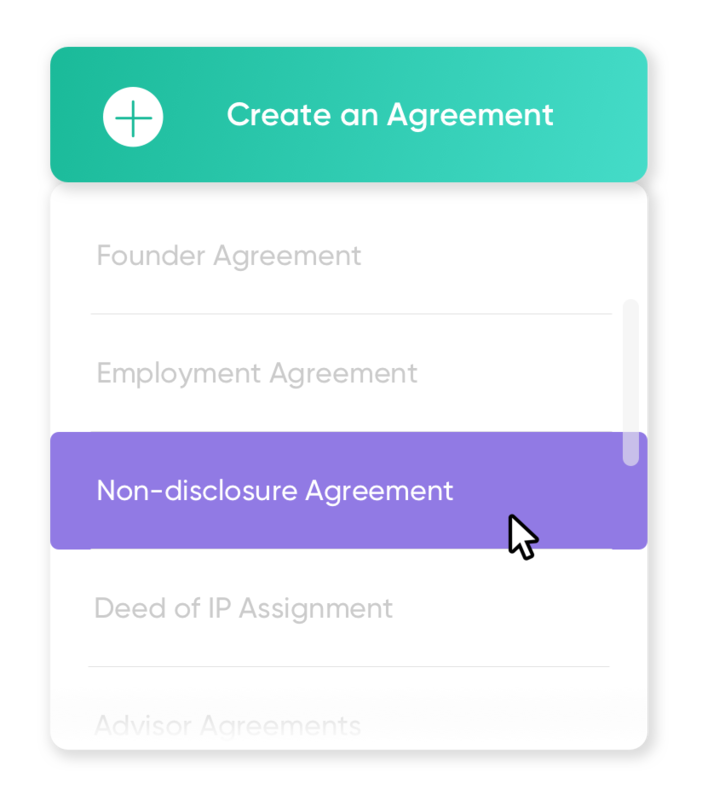 Creating Founders Agreements is as easy as ordering lunch in a restaurant. SeedLegals is one of the most impressive legal technology companies out now. It made our fundraising experience really painless, very happy to have found them! Getting set up is fast. Create your company account now and get 30 days on our Base Plan totally free. No credit card required!